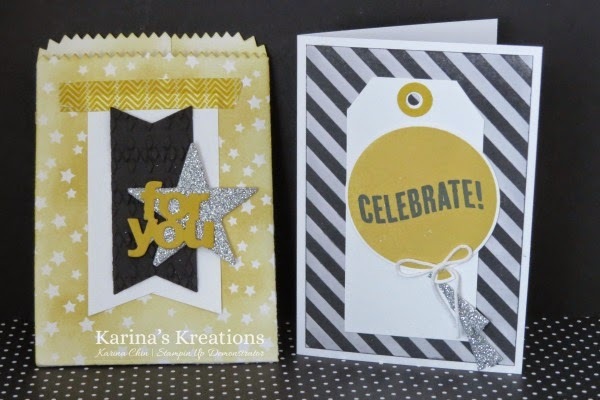 Karina's Kreations: Stampin'Up Celebrate Today Mini Treat Bag Card! Stampin'Up Celebrate Today Mini Treat Bag Card! This is the stepped up version of the card I posted yesterday. 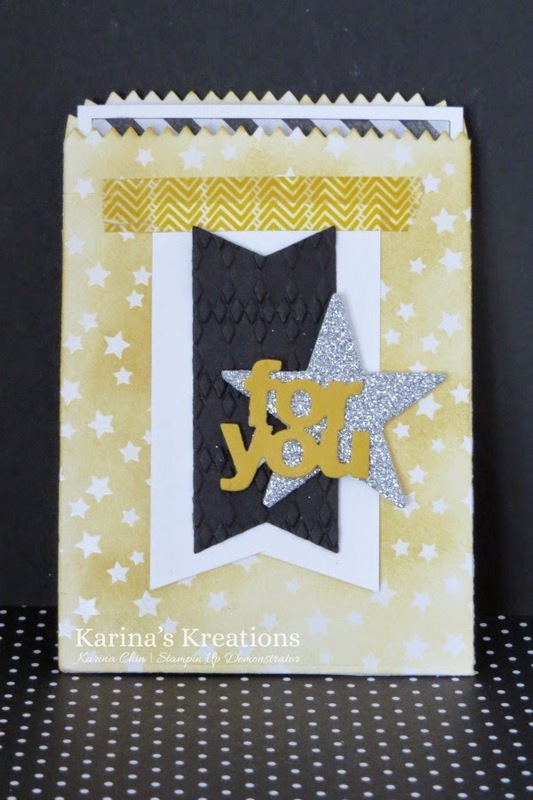 This card uses the Mini Treat Bag Thinlits Dies and the FREE Irresistibly Yours Designer Series Sale-a-bration paper to make the bag. Here's a video showing how to put the mini treat bag together.